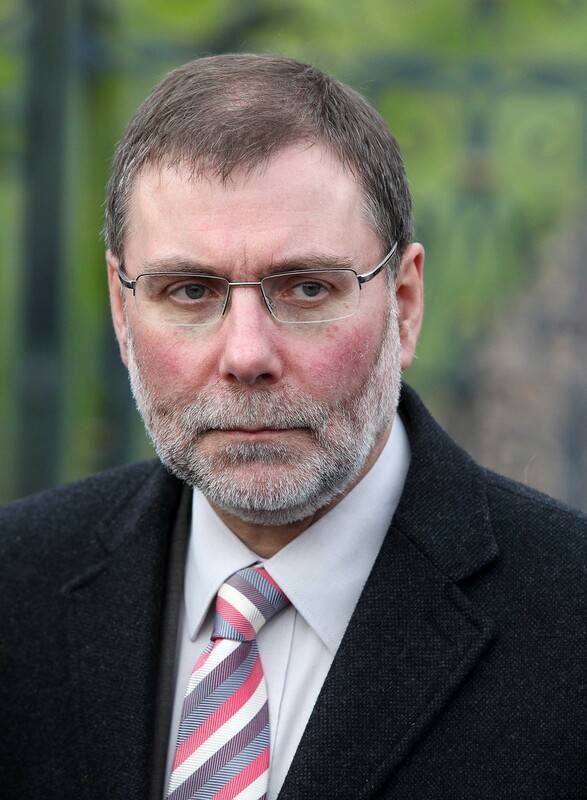 SOCIAL Development Minister Nelson McCausland has suspended new funding arrangements for volunteering and women’s groups in the voluntary and community sector more than eight months after department officials warned his plans could be subject to legal challenge. The Detail has seen advice provided to the minister last December which was sought after serious concerns were raised by Stormont’s Social Development Committee about planned changes to the department’s infrastructure support package for community groups. The committee wrote to the department highlighting members’ concerns after they received a briefing from third sector representatives on December 1 2011. Despite the warning from officials last December of the risk of a judicial review, Mr McCausland decided to continue with the new funding arrangements for volunteering, faith-based, voluntary advice, women and generic support organisations. However, on August 21 this year a department representative wrote to some of the organisations to say it was taking advice on whether it would proceed with the new arrangements after “the process the department has adopted has been questioned”. It was only late on Friday afternoon last week that Mr McCausland publicly announced that he would halt the funding plans for groups in the volunteering and women’s sectors while continuing with plans to restructure funding arrangements for the others. The existing Regional Infrastructure Programme (RIP), which is administered by DSD’s Voluntary and Community Unit, has been in operation for around 20 years and has remained largely unchanged during this time. It currently supports the core costs of key organisations involved at a Northern Ireland-wide level in playing a supporting, coordinating or development role in relation to the voluntary and community sector, particularly in those areas which are the responsibility of DSD. Between 2003 and 2012 RIP awarded £26m to support the voluntary and community sector in Northern Ireland with 24 organisations receiving funding. Seven of the organisations were in receipt of core funding every year from 2003. This includes the three organisations awarded the highest monetary level of funding under the RIP – Law Centre NI (£4.7m), NI Association of Citizens Advice Bureau (£4.4m) and the Northern Ireland Council for Voluntary Action – NICVA (£4m). 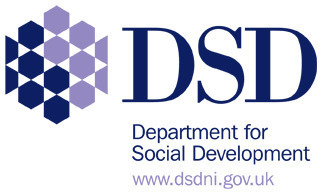 The Department for Social Development has confirmed that annual funding for the RIP programme is in the region of £3m and currently 10 community organisations receive funding. In January 2010 the chairpersons of the 11 organisations in receipt of funding were advised that the programme was to undergo a review and DSD published a consultation paper entitled ‘Regional Infrastructure Programme Review and Consultation’ on July 7 2010. The consultation ran through to September 30 2010. Local councils, government departments and a broad range of voluntary and community organisations – including those currently funded under the programme – were invited to contribute and 326 responses were received. The department issued a response to the consultation which included that the review team believed a fresh start could best be achieved by selecting a strategic partner/consortium to deliver the key generic support required by the voluntary and community sector across the whole of Northern Ireland. Mr McCausland announced his decision on how to move forward at an event at NICVA on December 8 2011 which was attended by 120 people from voluntary and community organisations across Northern Ireland. He continued: “The arrangements which will take effect from next April will see very significant change to current support arrangements with a clear emphasis on rationalisation and the ending of current contracts to be replaced with more targeted support arrangements. “In respect of generic regional infrastructure, the department plans to achieve 25% reductions effective from the start of the next financial year and to advertise for one strategic partner or consortia to deliver. “Broadly similar approaches will be used to support what we describe as thematic work – volunteering, regional advice services, support for women in disadvantaged areas and the faith sector although the detail is yet to be finalised. The Social Development Committee clerk Dr Kevin Pelan wrote to DSD’s Margaret Sisk on December 12 2011. This letter said: “The organisations who gave evidence to the committee at its meeting on December 1 all agree that the department undertook an online consultation in 2010 and established a need for change. “However, the committee has serious concerns that there appears to have been no consultation on the structure or content of the new programme, or on the details of how it is to be delivered. The committee clerk said that the committee was also concerned with the proposed 25% cut to the programme and queried the rationale for it. He wrote: “The committee would therefore like an explanation as to how this figure was reached and why it was directed at this particular programme. “Furthermore, the committee understands that some of these organisations have already been subject to cuts in funding this year yet this does not appear to have been taken on board by the department in establishing a further 25% reduction in funding for the next three years. “The committee would therefore ask that the department reappraise the proposed 25% in the context of cuts having already taken place. “The committee was also concerned that on the basis of a 25% reduction in funding going ahead 3rd sector organisations could only achieve this by making staff redundant. The letter also states that the committee noted concerns that there was a lack of an adequate transition package in place for those organisations that are detrimentally affected by the new proposals. 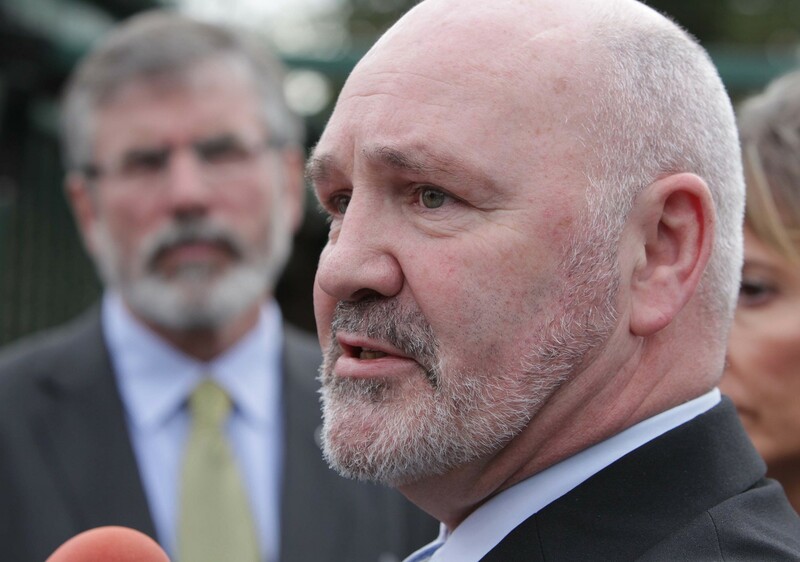 Dr Pelan continued: “As they stand, the current proposals may leave Northern Ireland as the only part of the UK without a bespoke organisation that champions and develops leadership. And: “The committee also recognises the impact welfare reform will have upon different social groups in Northern Ireland and how regional advice organisations provide a vital role in providing advice to these groups. Under the headline ‘Risk’ the committee clerk also wrote: “The committee has concerns with the proposal to deliver all generic regional infrastructure support through one organisation or consortium. The committee agrees that one contract introduces an element of risk and the department should consider at least two contracts to ensure an element of competition on continuity of delivery. Maeve Walls, the then director of DSD’s Voluntary and Community Unit (VCU), wrote to Minister McCausland and his special advisor Stephen Brimstone on December 23 2011. Her four page briefing document was accompanied by two annex papers – one is a copy of the letter from the clerk of the DSD committee and the other is her suggested response to the committee in draft form. The briefing paper states that the ‘issue’ is that the committee clerk Dr Kevin Pelan had written to the department to raise a number of issues relating to the review of the Regional Infrastructure Programme. The ‘priority’ is noted to be “urgent”. The letter also states that VCU officials met with the Departmental Solicitors Office (DSO) and senior counsel seeking advice on a possible judicial review on section 75 issues centring around women and faith groups. Ms Walls invited the Minister and Mr Brimstone to note the briefing and agree to a proposed further short period of consultation with those organisations directly impacted. She also asks them to re-consider transitional arrangements for negatively impacted organisations when an options paper is presented. She also states that VCU officials met with DSO and senior counsel on December 22 to consider the department’s exposure to a challenge for a judicial review. Ms Walls writes: “Whilst a full written response will not be available until after the holidays, senior counsel has advised verbally that it is his view that a judicial review would be granted solely on the premise that inadequate consideration has been given towards conducting an equality impact assessment in respect of efficiencies levied on section 75 groups Women and Faith explicitly named in new policy proposals. “Such a review would result in a major delay in implementing a new programme, requiring substantial staff resources and likely to cost a significant sum. The draft reply to Dr Pelan proposed by Ms Walls runs to over six pages and includes an acceptance by the department that the decision to proceed with a requirement for a single bid or consortia did not form an explicit part of the initial consultation “but rather emerged in response to the consultation which called for a more collaborative approach”. The draft letter, which would have been issued by Ms Walls, also said that the minister has asked officials to engage in a further short and focused consultation with the relevant voluntary and community sector organisations. And it states that the department “regrets” that it is unable to consider funding towards redundancy payments. It appears that Minister McCausland decided to progress with his plans, despite the legal warnings, and this draft letter was not sent to the committee. Michael Donnelly, acting head of the Voluntary and Community Unit, wrote to the organisations which had expressed an interest in delivering the new support arrangements on August 21 this year. This letter said that the department was in the process of “completing normal appraisal and decision making processes in respect of those organisations/consortia selected as preferred delivery partners”. On Friday, September 7 Mr McCausland issued a press statement to provide an update on the infrastructure support package. He did not specifically mention concerns raised about potential legal action. His statement included: “Collaboration and partnership working between government and the voluntary and community sector are vital in ensuring that best value is delivered to all of our citizens and I make no apology for having these as core values within our policy development process. “In the areas of faith based organisations, advice and generic support for the voluntary and community sector, I have determined that the new arrangements being developed should proceed as quickly as possible with the aim of implementing the new programmes by October 1 2012. “In the areas of support for volunteering and women in disadvantaged and rural areas I have decided that further analysis and research is required to determine how best to provide such support. “I have serious concerns regarding the level of collaboration and partnership working in these areas and reservations as to whether the proposed arrangements would adequately deliver. He continued: "Leading is not about making easy decisions and as Minister for Social Development I am faced with decisions which impact on the lives of all citizens and I clearly recognise the value to civil society of a vibrant voluntary and community sector as we work together to build a participative, equitable and inclusive community here in Northern Ireland. We put a series of questions to DSD including asking why the minister did not hold a second period of consultation. We also asked how much money DSD has spent on the new arrangements so far, including consultation costs. The spokesman said, “aside of internal staffing costs”, DSD has spent “no money” on the new arrangements. We asked if the minister is confident that going ahead with the faith, advice and generic funding arrangements is the right thing to do. Our query to the press office also asked if the minister had provided the explanation requested by the DSD committee for the 25% cut to the programme and if he reappraised this cut as requested by the committee. The response was: “Yes. The 25% efficiencies in the generic support arrangements are to be phased in over the period 2012/13 to 2014/15 at 10%, 10% and 5%. The spokesman also said that legal proceedings have not been initiated by any of the groups.